This morning, I was reading my RSS newsfeeder and saw this article that made me somewhat sad. 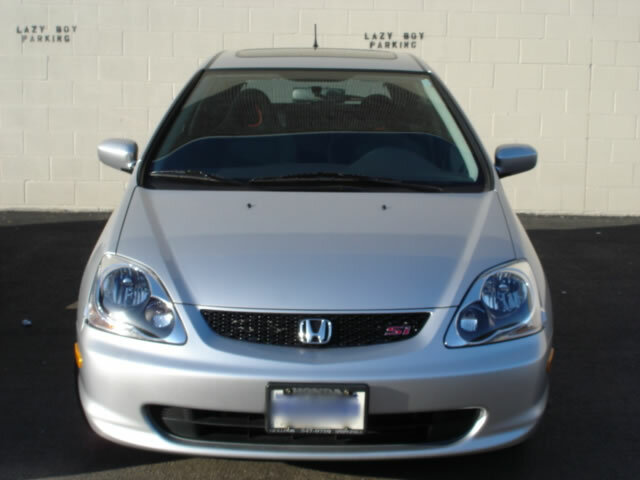 Some of you may know I own a 2004 Honda Civic Si (wish it’s a Type R, dammit), but someday it will be! All hatchbacks were assembled in the UK as shown below. While reading this artcile, it said that this Type R hatchback was a massive success, quadrupling the original UK forecast to 35,190 sales and was consisently voted What Car? Hot Hatch Of The Year from 2002 to 2004, BBC Top Gear’s Best Hot Hatch 2002 and Auto Express’s Best Sporting Car 2003. Here’s to a future engine swap! my car. you can see some difference like the red seats, headlight projectors, LED indicators on the door mirrors, red emblem logo, and ofc the driver seat on the right side. hi, i’m kim’s friend? you left a message on my xanga. i’m actually in korea as part of the EPIK program – that’s english program in korea. it’s sort of like the japanese JET. they basically assign us to real middle or high schools, and we teach as a native speaker “conversation” teacher. so your birth family is in incheon? what a coincidence! i’m located in incheon right now. that is pretty awesome. i’m glad to hear you had a pretty good experience both in korea and in meeting your family. i can’t begin to imagine what you must have felt, so i’ll only extend my heartfelt congratulations. did you fill out the questionaire, since you were tagged and all? you do realize that a tag is like a dare. you gotta do it. You sure watch a lot of tv dramas! am currently downloading “my name is sam-soon”. Really? cool, well, what the hell are we doing? let’s plan a visit to Korea! You’re exactly right about why they never brought the Type R to the U.S. — it would be in direct competition with the RSX Type S. And it was a good decision too! Americans obviously hate the styling of the Civic Si/Type R (I loathed it intially, but it grew on me, and it was actually my second choice behind the tC), considering that sales have been so sluggish that you can buy a brand new Si, with an MSRP of about 19k, for as low as 15k. It’s similar to how they killed the Acura CL Type S because they knew the current Accord V6 coupe would undercut CL sales, and the Accord’s engine is even slightly less powerful than the CL’s (whereas the Civic Type R and RSX-S share the exact same engine, as you mentioned). Keep in mind, though, the Civic Type R carries a base price of nearly 24,000 Euros. Still, at that price I’d take a Civic Type R over an RSX-S, but most Americans seem to agree with the styling of the RSX chassis much more than the Si’s. Damn, they have some sweet hot-hatches in Europe though. So, you know what you’re talking about. True, maybe it still wouldn’t sell very well due to the price tag. Hatchbacks, so I’ve read and heard, are popular in Europe and the Honda Marketing dept. knew there had buyers willing to shell out 24k euros on those Type R’s. I had the same reaction as you did when I first saw the Civic Si and thought why the heck did they design that style. But I was in a hurry ‘cuz I had only two weeks to buy a new car before I start my new employment in Washington, DC. My hometown was in Illinois where, in my area, more trucks got sold than cars. Originally, I wanted to buy a RSX Type-S but there wasn’t any Acura dealership near my home and the nearest one was 2 hours away. Then the local Honda dealership happened to have three hatchbacks on their lot–silver, blue and black. I took a close at them and thought they weren’t that badly designed. The ’04 had sideskirts and bigger rims with six spokes, which helped improve the appearance greatly. So I test-drove the car, granted, it wasn’t the fastest car but was impressed how easy it was to manuever the car, with the in-dash shifter and its smooth transmission. I liked the interior and when it came to the price tag, they offered me a really good deal, 16k plus taxes, which amounted to a little over 17k. So I took the deal and never looked back. Yesterday, I saw the new Civic coupe EX and test-drove it. I must confess, it’s a really nice car and had I waited a year, I would buy the car in an instant. The car is really nicely designed and Honda is gonna sell a lot of them this year and beyond. It had a better steering than my hb, and I especially liked the two-tiered dashboard with a digital speedometer. But the engine’s a bit weak as I slammed down the pedal so I’m relieved that my car is still going to be faster than the EX but no doubts the new SI would be faster. That’s ok, newer models are supposed to be faster than the predecessor anyway. I have thought of trading my hatchback for the new coupe but I sure don’t want to add 2 or 3 more years to my car loan. Since the new EX coupe and SI share same platform, there’s gonna be a lot of people driving the same cars while my hatchback (called the EP3 platform) didn’t share with another trim level, only for SI, so I feel somewhat unique driving my hb as there are very few ep3s out there, especially in my area. I see an ep3 once a month, on average. So, you’re thinking abt buying the tC? It’s a nice car, not too crazy abt the headlights, tho. Have you seen the new civic coupe yet? btw the civic type R doesn’t have the same motor as the RSX type S, the CTR has the k20a and the type S has the k20a2. your Si has the k20a3. there is a difference from what i can remember between the a and the a2, but bigger differences especially with vtec on the a3. Jeremy, you’re correct. Now that I re-read my post, I’m not sure how or why did I mention it had the same engine as type R.